Although stories about celebrities facing Los Angeles DUI charges are reported every day, average citizens often act surprised when people in authority face similar charges. The attorneys at the Kraut Law Group have seen plenty of people in positions of authority deal with DUI charges and want to set the record straight on the prevalence of this problem. Republican senator Bryce Marlatt was recently charged with a subcategory of DUI known as actual physical control, or APC. APC indicates the vehicle was actually moving when the suspect was pulled over for the DUI. Woodward, OK, police found Marlatt asleep in his moving car. When asked how many beers he had, Marlatt replied, “None – I had what you call a bourbon and Coke.” He also said he had consumed “no more than anybody else” when asked further about his alcohol consumption. Senator Marlatt’s attorney claims that Marlatt had been having sleep problems and that he took a prescription sleep aid before getting behind the wheel last Monday night. He had imbibed a mixed drink and had been concerned about the effects of the mixture, so allegedly pulled over to sleep off the aid and the alcohol. However, the charges of APC indicate Marlatt’s vehicle may have been moving without his knowledge. Another authority figure recently charged with a DUI is Robert Butler, president of the Butler Automotive Group in Indianapolis. Allegedly, Butler had been driving DUI on Interstate 465 and hit a vehicle parked on the emergency shoulder. The accident caused “serious leg injuries” to 25-year-old Latin McKinney, according to The Indy Channel. McKinney and his sister had apparently been trying to jump-start McKinney’s stalled car on the emergency shoulder. Butler admitted he had four glasses of wine while watching a ball game in downtown Indianapolis before getting on the interstate. Police measured his blood alcohol level at twice the legal limit. 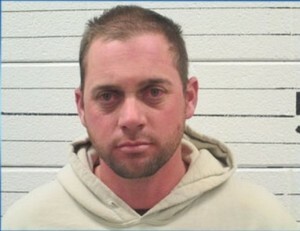 However, Butler pleaded not guilty to DUI charges even after admitting he’d been drinking.